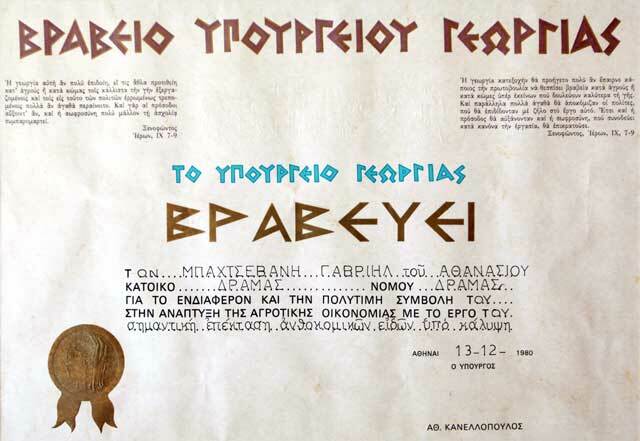 The history of the family started in 1922 with Athanasios Baxevanis who came to Greece as a refugee after the Minor Asia disaster. His love of flowers was the balm and consolation for all that he and his family suffered by the uprooting. His flower garden was the milestone for Drama, he himself was considered an authority in the care of flowers and he slowly began to process the idea of a full employment in floriculture. The idea matures and in 1960 he begins to deal with Ornamental Plants exclusively. His son Gabriel takes the reins of the company who from the beginning of the 1970’s is at the head of the company and continues his father’s actions. Innovative as a businessman he adopts new techniques. He is the first one to create a greenhouse in Drama, whereas in 1976 he had the first clogged with glass greenhouse built in Northern Greece! In 1980 he was awarded by the Ministry of Agriculture for his valuable contribution to the development of rural economy in Greece. In 1985 his son Panagiotis Baxevanis starts also his entrepreneurial activity, who is now the current owner. The company expands, and so do the requirements, too and it becomes imperative to find a bigger space. 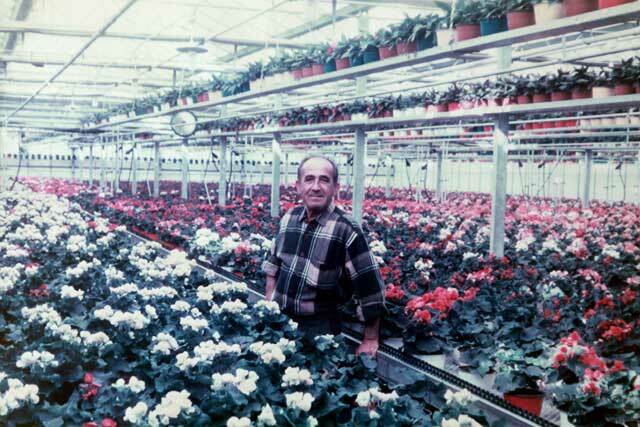 In 1991 Panagiotis Baxevanis decided to have the greenhouses transferred outside the city limits, in their current location, in privately owned facilities which occupy a total of space of 20.000m2 out of which 8.000m2 are greenhouses and the remaining 12.000m2 outdoor crops and plants. Today the company owns private trucks to transport especially flowers and plants. It expands dynamically to the market, it strengthens the sales network and it adapts to the new conditions. It cultivates various ornamental plants, it exports to Holland, Belgium, Germany and to the neighboring country of Bulgaria. It supplies Greece with its products whereas it imports plants from Holland, Belgium, Germany & Italy. It uses the most modern machinery and all the greenhouses are clogged with glass. All these efforts are based on the company’s staff, in which 13 people are currently employed, including an agronomist responsible for farming. Openness is a vital business need. The Balkans proved to be a privileged space for the company. For the three years now it has been exporting ornamental olive trees and the prospects seem especially encouraging. 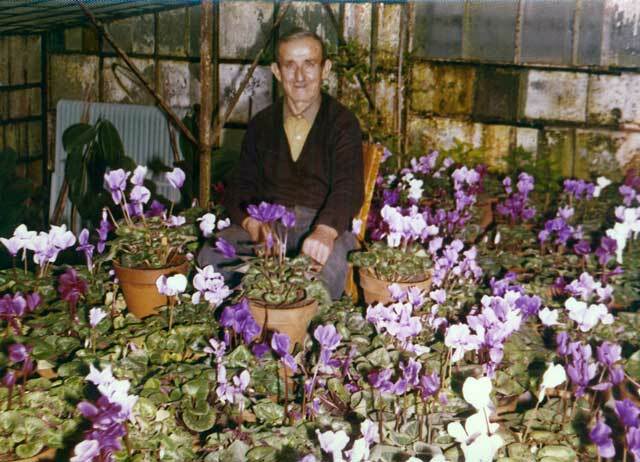 The Baxevanis family completes almost one century of continuous presence in the field of floriculture. It continues based on the principles that established it: remaining faithful to tradition and open to innovation. And optimist about the prospects that are opening up today at this critical juncture.